The Rage Circus Vs. The Soulless Void: Short Review - "The Curse of Jason - Part 1"
Short Review - "The Curse of Jason - Part 1"
It's hard to form an opinion of something in just eleven short minutes. However, this was just the first of a three part series. Knowing this and understanding that this is a short fan film, hopefully allows the viewer to sit back and simply have fun with it. Go in to watching this film just expecting a quick, good time and you will not be disappointed. Created Brandon Prewitt, co-writer of The Campground, and Jack Norman this film starts with the typical group of campers hanging out at Crystal Lake. We get a quick nod towards the greatest Jason ever on film with one of the first victims being named Kane in reference to Kane Hodder, who played Jason in Friday the 13th VII, VIII, Jason Goes to Hell, and Jason X. The kills come quick and intense and are in no way disappointing. The directors embrace the limitations of their budget and do not overreach in their attempt to create brutal kills. Instead, they use a standard trick of the low budget horror film by showing the lead up, the slash of the arm or the raising and dropping of the ax, and then cut to the wound. The technique is used well and the kills are pretty cool. Perhaps, most importantly, Prewitt and Norman's Jason delivers. Jason is played by co-director and co-writer Jack Norman. While the uninitiated into the Friday the 13th series might believe that anyone could put on a mask and play Jason, true fans know that idea is a fallacy. Ask any die-hard Friday the 13th fan and they will name their favorite Jason for you. In order to properly portray the killing machine that is Jason Vorhees, a certain presence is required. Jack Norman pulls this off and provides a respectable addition to the line of actors who have portrayed the unstoppable monster. He seems to model his movement off of the Jason of later films and, in doing so, brings the character to life. Certain other aspects that are enjoyable about the fan film are not so much the result of the crew's work as they are their correct acknowledgment of the fact that certain things make Friday the 13th what it is and can not be replaced. They utilize the familiar title graphics and Harry Manfredini's iconic music. A lot of the shots of the film are reminiscent of the types of visuals used in the various Friday the 13th movies that went on to become standard in most slasher films. For the most part, the cast and crew did a solid job of paying their respects to the Friday the 13th franchise and creating a work that is obviously the product of fans. I can't say in good faith that the production was perfect. There were moments when I couldn't help but ask the screen "really?" as though it was going to answer, such as when the character Alice barely taps Jason and manages to shove him out of the way or a character's complete unawareness of Jason being right next to them until it is too late. However, overall, the film is entertaining and should be viewed by any fan of Friday the 13th. Just trying to catch all of the references alone are worth the view (I already mentioned the nod towards Kane Hodder. See how many others you can find on your own.). The cast and crew seem to have had fun making this and you should have fun viewing it. Due to the short run time of the film, I am not going to attempt to do a by-the-numbers rating until all three parts have been released and I can view them as a whole. You can check out part 1 of Friday the 13th The Curse of Jason on YouTube at: https://www.youtube.com/watch?v=QzQOURtbFak. 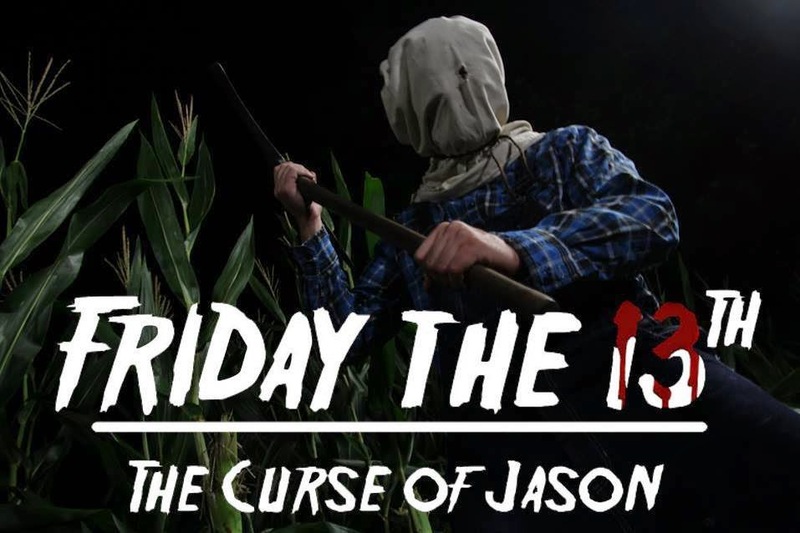 You can also check out more work by the cast and crew of Friday the 13th The Curse of Jason and stay up-to-date on their projects at their Facebook page: https://www.facebook.com/studio605productions.